Saudi Arabia is pledging $20 billion to an American private investment firm to pay for infrastructure projects in the United States. The firm at the center of the deal, the Blackstone Group (BX), has a close connection to President Trump. 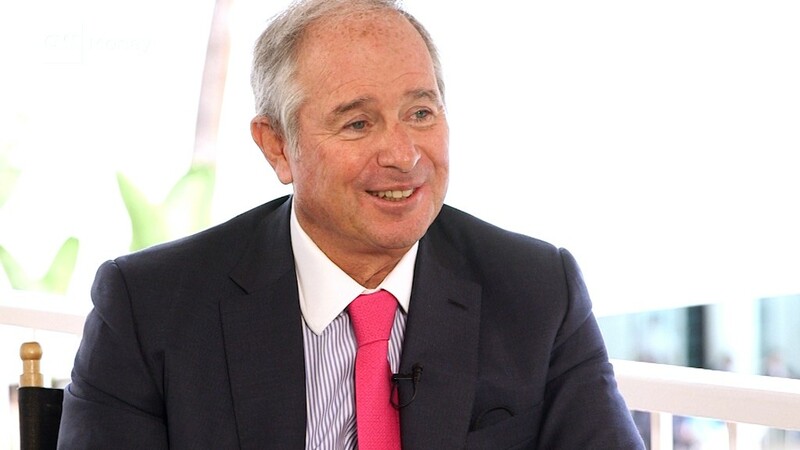 Blackstone CEO Steve Schwarzman advises the president on policy issues ranging from trade to infrastructure. The $20 billion in Saudi money is part of a larger effort by Blackstone to invest stateside in toll roads, airports and other public works. The firm said Saturday that it will raise another $20 billion from other investors. With debt financing, Blackstone hopes eventually to bring the total to $100 billion. The announcement Saturday was a year in the making, but the timing was significant. It came as Trump kicked off his first overseas trip this weekend in Saudi Arabia, where he touted his ability to attract foreign investment in the United States. The announcement also came days before the Trump administration is expected to reveal its 2018 budget proposal. And further details about his long-awaited $1 trillion infrastructure plan could come by the end of the month. For that plan to work, the administration needs to attract private capital. Late last year, Schwarzman, who doesn't hold an official White House position, helped put together a team of corporate executives to advise Trump on jobs and the economy. The group includes JPMorgan Chase (JPM) CEO Jamie Dimon, Walt Disney (DIS) boss Bob Iger and former GE leader Jack Welch. President Obama put together a similar panel of CEOs to advise him on the economy in 2009. When CNNMoney asked Schwarzman about Trump's priorities at a meeting with the CEO group in April, he said infrastructure was high on the list. Trump is "very engaged in infrastructure," Schwarzman said. "He was a builder and so he understands intuitively the benefit of building things for employment." The Saudi investment will come from the country's Private Investment Fund, which was created in 1971 to manage the Saudi government's investments at home and abroad. Deputy Crown Prince Mohammed bin Salman, who has led PIF since May 2015, has supported the fund's diversification away from oil. Last fall, the kingdom committed $45 billion from the fund to investments in the tech industry. The deal was made with the Japanese tech conglomerate SoftBank (SFTBF), which recently said it is nearing its goal of raising $100 billion. --CNNMoney's Jill Disis and Zahraa Alkhalisi contributed to this story.